Just wanted to show our before and after photos of the koi pond at my MIL's place. We moved in as we are building in May and threw our koi in with my MIL's fish in a concrete pond rather than having to run two systems. It was pretty green but the fish seemed to survive so we didn't think much of it. Unbeknownst to us my MIL feeds fish like she feeds people. Abundantly! 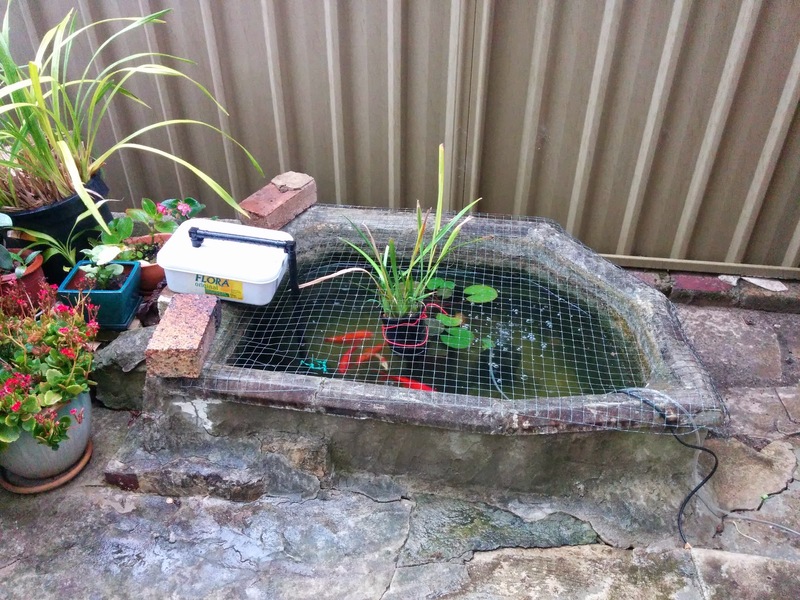 So much that the top of the water is almost got a layer of fish food - both flake and our koi pellets. We only found out when our biggest koi started gasping and half floating (looked very very ill). So we put it in a bucket of fresh water (I know!) but it seemed to revive itself. So after about a day we threw it back in. BAD mistake. We pulled out our pond testing kit and found our ammonia levels were super high. 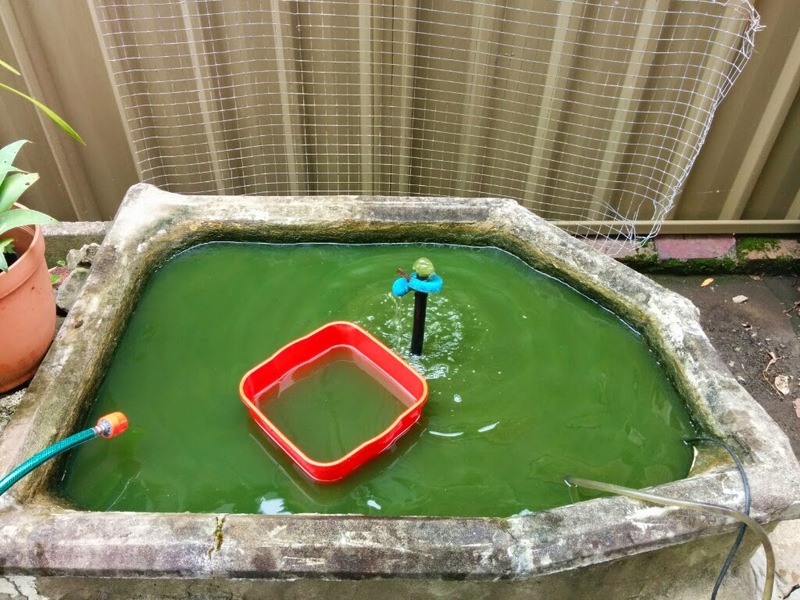 So we dug out our pond pump and started filtering the water. And here it is 'now' after we bought a sponge air filter thing (cheap and great!) and hacked together a water filter using a big tub. You can now see right to the bottom! We're not using any fancy filter. Just a hacked together filter with a piece of filter pad (like this) which we lined the box with and then pump the water into it to get it to flow back into the pond after putting lots of holes into the box on one side.